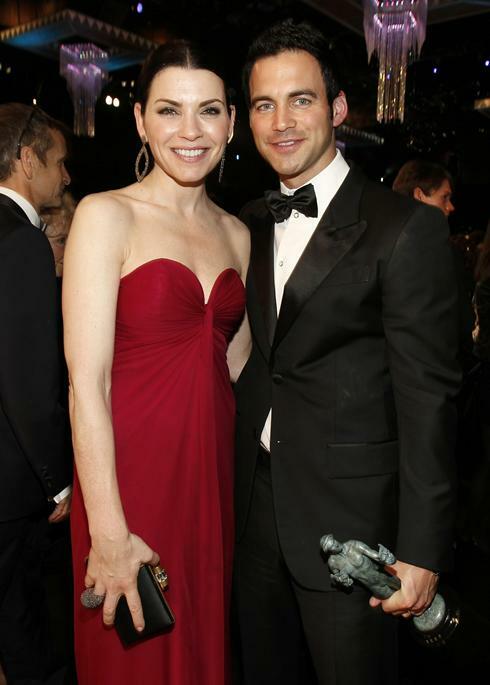 ‘The Good Wife’ star Julianna Margulies is married to Keith Lieberthal. Blue-eyed hotness Lieberthal is an attorney by profession. This pair tied the knot in 2007. Ever since that day, this perfect pair is living together in a loving relationship without any major issues. Margulies met her husband Lieberthal during a friend’s birthday party in 2006. Their first encounter was quite interesting. Looking at Lieberthal’s good looks and charm Margulies thought that he was an actor. Margulies recalls the first encounter and said: “I said to him, ‘Listen, I’m going to be leaving in 10 minutes because I’m sure you’re an actor and I have sworn off [your type],’ ” she said. “And he said, ‘Well, that’s good. I’m a lawyer.’ Then he poured me a big glass of red wine, I stayed the entire dinner – and that was it.” Isn’t that too adorable? Margulies was 41 years old when she married the man of her dreams. However, you might be surprised to know that this amazing beauty had never intended to marry anyone. She was against the idea of being married because her parents had divorced when she was only one year old. She herself admits that she was ‘not the marrying kind’ until the arrival of Lieberthal in her life. At present, she feels totally blessed to have waited all those years to take such huge step in her life. She says: "I feel very grateful that I had the courage to say no when I did and say yes when I could, that I waited to find the right mate and to have this little family. There's something about this time in my life where I feel like it's never going to get better." Margulies and Lieberthal tied the knot when she was seven months pregnant with Lieberthal’s child. After two months of their wedding, Margulies gave birth to a gorgeous son, Kiernan Lindsay Lieberthal. At present, they do not have other children except Kiernan. Even after all the years of being married, Margulies and Lieberthal’s married life is going really well. Margulies looks really happy with her husband and family which can be seen in her flawless smile. She says that her husband is very supportive and understands her personally and professionally. According to Margulies: “I married a rock, who understands what I do without any resentment. And I've got a joyful, easy kid." There is not a single hint of divorce between this couple. Do you think that their marriage will last forever or they will divorce soon? Please leave your comments below.